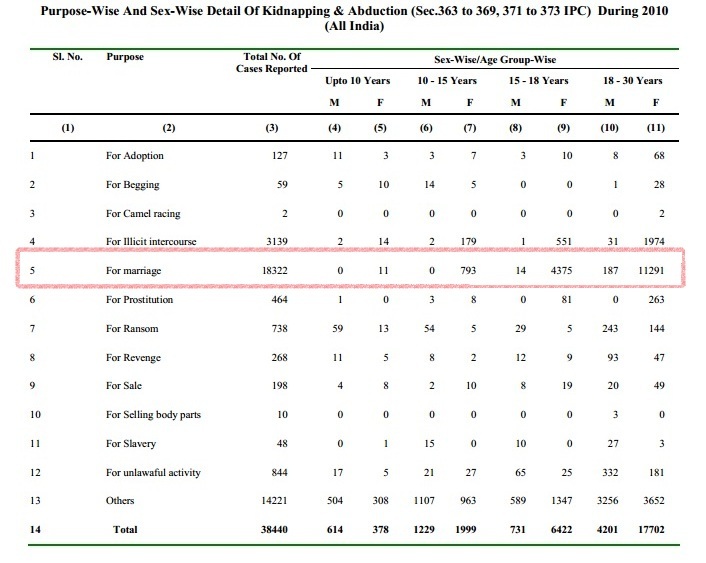 A total of 1,224 cases (under IPC 366-A) were reported in the year 2013 as compared to 809 such cases in 2012, showing an increase of 51.3% over 2012. West Bengal has reported 486 such cases indicating a share of 39.7% at the national level followed by Bihar (193 cases) (15.8%) and Assam (129 cases) (10.5%). A mixed trend was observed in these cases during the last four years.